After a day at Mount Rushmore National Memorial, take some time to unwind in one of two hot tubs at the Country Inn & Suites hotel in Rapid City. 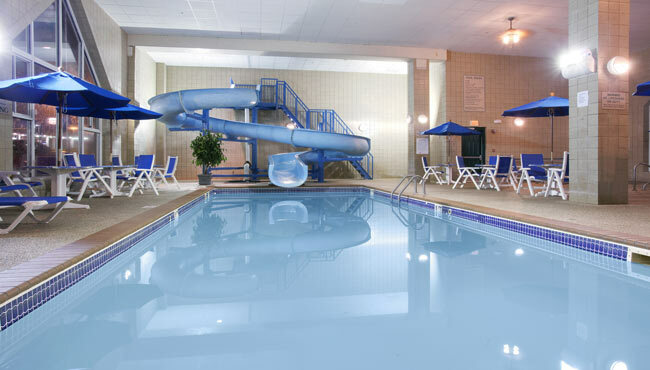 Kids can burn off energy at our indoor pool’s 100-foot waterslide while you check emails using free Wi-Fi. If you're an exercise buff, hit the cardio equipment in our well-equipped fitness center before heading to Bear Country U.S.A. with the whole family. Every morning, keep your family fueled with a stop at our complimentary, hot breakfast. Options range from cinnamon rolls and Belgian waffles to yogurt and fruit. When you're ready for lunch or dinner, excite your taste buds with Indian fare at Kathmandu Bistro, or enjoy a comforting classic like lasagna at Botticelli Ristorante Italiano.